In the area of employment discrimination, a single set of facts can often raise legal issues under multiple overlapping statutes. For example, an employee who is denied a leave of absence to deal with pregnancy complications might have claims under three federal laws, Title VII of the Civil Rights Act of 1964 (Title VII), the Americans with Disabilities Act (ADA) and the Family and Medical Leave Act (FMLA), and one Florida state statute, the Florida Civil Rights Act (FCRA). Depending on timing and strategic issues, an employee can elect to utilize some or all of these avenues of redress. In recent years, these protections have been expanded even further pursuant to several county discrimination, human rights and civil rights ordinances. Ordinances are, simply stated, local statutes that can provide protections and remedies that mirror or, in many cases, exceed those offered by federal and states law. 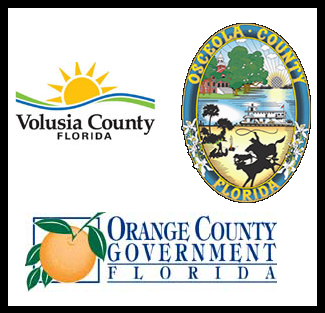 In Central Florida, there are currently three counties that have enacted ordinances of this type: Orange, Volusia and Osceola. While these ordinances create certain redundancies in the law, they also expand three key aspects of employment discrimination law: (1) employers covered, (2) protected categories of employees, and (3) direct access to court system. Most federal and state discrimination statutes are inapplicable to employers with fewer than fifteen (15) employees. 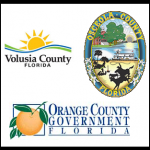 The county ordinances listed above, by contrast, apply to employers with five (5) or more employees. Thus, many small employers who are beyond the reach of federal and state law are subject to the protections afforded by these ordinances. Consequently, these small employers must develop policies and procedures to address equal employment opportunity and harassment issues. “Familial status” refers to individuals who are pregnant or in the process of securing legal custody of a minor. “Sexual orientation” refers to an employee’s sexuality, actual or perceived, as well has his or her gender identity and expression. In Volusia County. These protections include, in applicable circumstances, the right of transgender employees to utilize their restroom facility of choice. Unlike employees utilizing federal and state employment discrimination statutes, the ordinances do not require that employees file an administrative charge of discrimination with the Equal Employment Opportunity Commission (EEOC) or Florida Commission on Human Relations (FCHR) before filing a lawsuit. Thus, the first notice an employer might receive of a claim under an ordinance can be the service of a civil lawsuit. Discrimination ordinances greatly expand the “playing field” of employment discrimination law, both for employers and employees. Given the breadth of the protections in covered Counties, employees should consult counsel regarding their rights to determine which laws apply and best serve their purposes. For employers, the ordinances increase the number of companies that must implement preventative policies and procedures, as well as the number of protected categories that their policies must address. For more information regarding these issues and how they apply to you or your company, please contact the firm.